Join Us!!! We are looking for someone to help us cover Ivorian basketball. Please send us an e-mail. Abidjan Basket Club have won SuperCup title. In the Final game they edged CSA Treichville 65-53. Abidjan Basket Club started the game with a 17-16 run, while the opponents replied for a 26-21 lead early in the second. Abidjan Basket Club took the advantage back with a 34-28 lead and emerged to a 59-41 advantage later in the game. Jeanne d'Arc de Dakar (D1) strengthened their roster with addition of 30-year old Ivorian guard Fatoumata Kone (167-88). 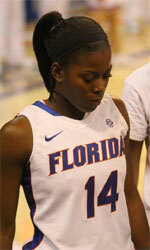 She played recently at Abidijan Basketball Club in Ivorian National 1A. Kone has played there for the last four years. Kone missed last season and had one year break from professional basketball. Her team won Ivory Coast National 1A Regular Season in 2012. Kone represented Ivory Coast at the African Championships in Maputo (Mozambique) six years ago. Her stats at that event were 8 games: 0.6ppg, 1.0apg, 1.6spg. Kone has played also professionally in Ivory Coast for OBC. Abidijan Basketball Club (National 1A) signed 30-year old swingman Mariama Kouyate (180-88). She just played at Club Sportif D'Abidjan in Ivorian National 1A. Kouyate has played there for the last ten years. She won Ivory Coast National 1A championship title in 2012. Kouyate was also a member of Ivorian international program for some years. She played for Ivorian Senior National Team between 2007 and 2015 and previously for U19 National Team back in 2007. Kouyate also represented Ivory Coast at the African Championships in Bamako (Mali) eight years ago. She is a very experienced player.